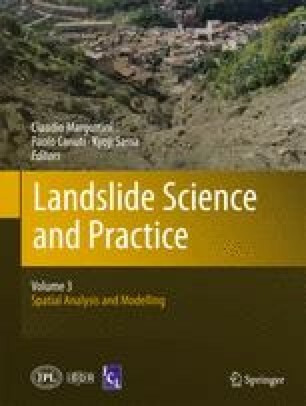 With the aim of extracting 3D structural information of rock masses from high resolution remote sensing data, a Matlab tool, called DiAna (Discontinuity Analysis) has been compiled. In particular, the proposed approach is able to semi-automatically retrieve some relevant rock mass parameters, namely orientation, number of sets, spacing/frequency, persistence, block size and scale dependent roughness, by analyzing high resolution point clouds acquired from terrestrial or aerial laser scanners. The proposed method has been applied to different case studies, and the obtained properties have been compared with the results from traditional geomechanical surveys. These applications demonstrated DiAna’s ability to investigate rock masses characterized by irregular block shapes, and suggest applications in the field of engineering geology and emergency management, when it is often advisable to minimize survey time in dangerous environments and, in the same time, it is necessary to gather all the required information as fast as possible.